I was born in Houston, TX in April 1986. I came home from the hospital to the home that my parents still live in today. I spent five years as a princess, ruling the roost all by my little self, until my sister (more happily known as the “lil nugget”) was born in 1991. I grew up in the any Memorial area of Houston, keeping myself very busy with dance, various sports and yearbook, to name a few. I went off to college at the University of Texas at Austin and immersed myself in all things Austin and the greek world at UT. I quickly joined a four-pack of best friends (one of which is still my roommate today) and studied, partied and grew up together the rest of our time at UT. I like to call those “the good old days” – the best in my life. The four-pack at our best. When I graduated college, the love of my life, Chuy the poodle prince, came into my world. After a brief and miserable stint as a law clerk after college, I returned to my roots and moved to Dallas for a communications job. I explored the DFW metroplex for a couple of years then, rocked by a devastating breakup, came back to Austin. Now, I’m just trucking right along in my favorite city. I work from home and have a fabulous roommate and boyfriend that make my life better everyday. I’m as happy as I’ve ever been and I can’t wait to see what happens next for the Chuy and I. (final word count: 257... I'll take it). AHHH! 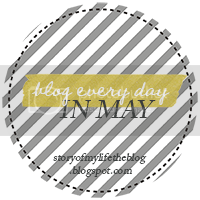 I love the idea of having a little prompt for every day of the month. I think I am going to join! Also, that is so cool that you have lived in the same place almost your whole life! I move like every few years so I have a lot of homes, but none that have been with me that long. That is pretty special. I love the story summation of your life. And so happy for you that you're enjoying this part of life and have so many good things going for you!